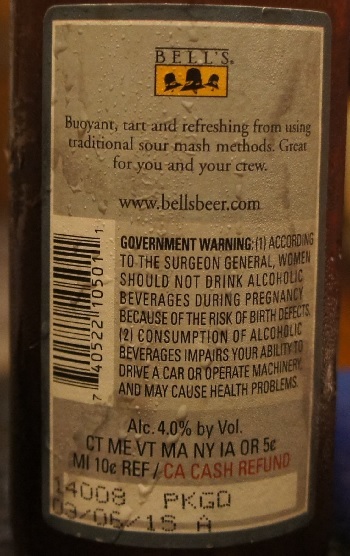 Category Archives: Bell’s Brewery Inc.
Other Notes: Ale brewed with honey. Brewer Description: (from website) Starting with six different hop varietals added to the brew kettle & culminating with a massive dry-hop addition of Simcoe hops, Bell’s Hopslam Ale possesses the most complex hopping schedule in the Bell’s repertoire. Selected specifically because of their aromatic qualities, these Pacific Northwest varieties contribute a pungent blend of grapefruit, stone fruit, and floral notes. 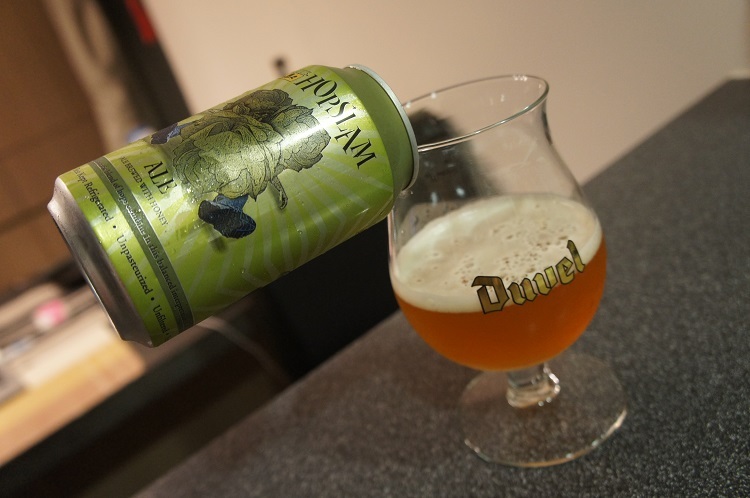 A generous malt bill and a solid dollop of honey provide just enough body to keep the balance in check, resulting in a remarkably drinkable rendition of the Double India Pale Ale style. Intro: A 12 fl oz can with a canned on date of 15th January 2016 (at least as best as I can tell since the dating machine misprinted onto the lip of the bottom of the can). Poured into a Duvel tulip glass. Appearance: It poured a hazy copper orange colour with an one finger off white head that sticks around for a bit and leaves nice spotty lacing. Aroma: Crisp candied orange and caramel with some light tropical pineapple, apricot and pine. 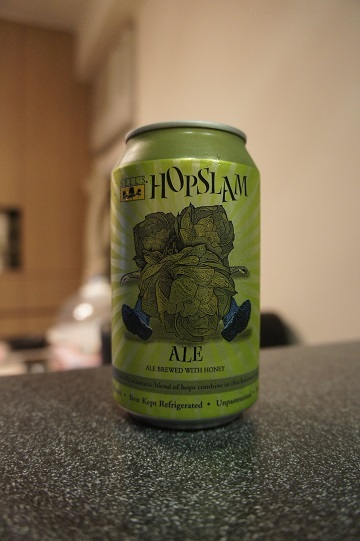 Taste: Its quite a sweet DIPA but that should have been expected with ale brewed with honey. I get a quick hit of bitterness to start before it turns sweet with caramel, honey, pineapple and orange. The finish is bitter again with grapefruit mixed in with some honey. Mouthfeel: Mid to full bodied with light carbonation. Overall: This was nice, but maybe my expectations were too high and it was perhaps just a bit too sweet for me. Having said that, the 10% is completely hidden and it goes down easy. Brewer Description: (from bottle) Buoyant, tart and refreshing from using traditional sour mash methods. Great for you and your crew. Intro: A 12 fl oz bottle with a packaged date of 6th March 2015 and poured into a short stemmed wine glass. Appearance: It poured a very cloudy light straw yellow colour with a one finger white head that dissipated quickly to nothing leaving minimal spotty lacing. Aroma: Tangy, lemon honey mix with a hint of apple and pear. Taste: Light sour lemon and sour green apple juice. Overall: This was a decent enough sour wheat ale. It is easy to drink and refreshing but not my favourite for the style. 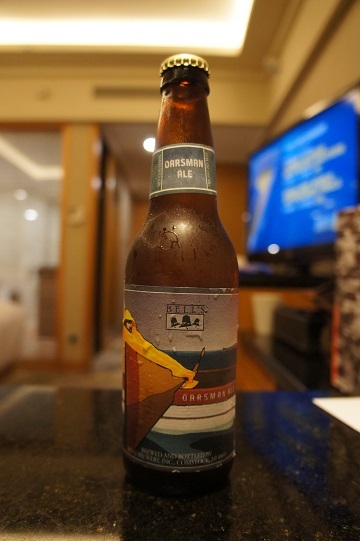 A friend helped me bring back two 12oz bottles of this to Hong Kong for me from the US. They were packaged on 9 October 2014, so around 6 months now. Other Notes: Available in winter. Brewery states unlimited shelf life. 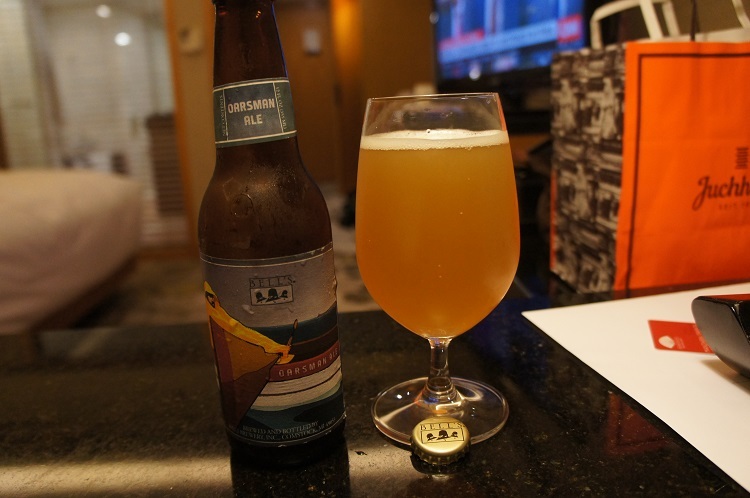 Brewer Description: (from bottle) Here’s a beer that thirsts for travel, holding up impressively under the rigors of any journey. At the same time, it’s perfectly content to sit quietly in your cellar, aging and improving while you wait for the moment that seems perfectly appropriate for its consumption. 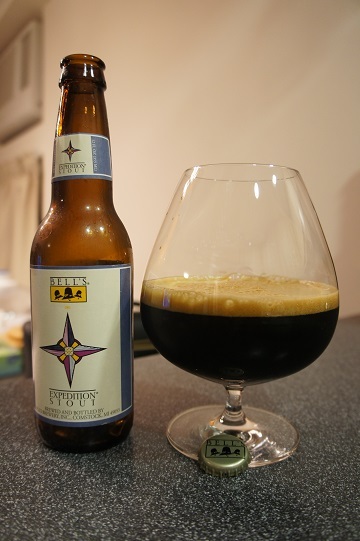 (from brewery website) One of the earliest examples of the Russian Imperial Stout in the United States, Expedition Stout offers immensely complex flavors crafted specifically with vintage aging in mind, as its profile will continue to mature and develop over the years. A huge malt body is matched to a heady blend of chocolate, dark fruits, and other aromas. Intensely bitter in its early months, the flavors will slowly meld and grow in depth as the beer ages. Appearance: Poured pitch black into a snifter with a one finger brown head that dissipates in less than a minute leaving some spotty lacing. Aroma: Strong chocolate smells first followed by sherry, malt and pine. The alcohol also does come through at times. 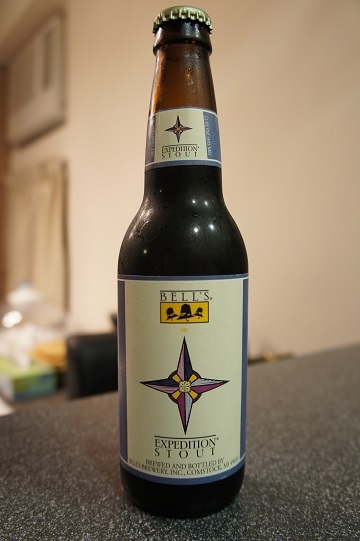 Taste: Begins sweet with chocolate and malt, then turns bitter dark chocolate, pine, herbal-ey lasting finish. Like the nose, the alcohol is there but leaves a warm feeling. Mouthfeel: Full bodied, light to medium carbonation, warm, sticky. Overall: I only got 2 bottles of this… and this was the second bottle. As per the description on the bottle and brewery website, I wish I had more so that I could age it and compare the differences it would make. Having said that, 6 months in, and this was nice.